Summer is my favourite season as I can wear my favourite dresses and look my best. Today I would like to share some of the best dresses styles you can wear this summer. 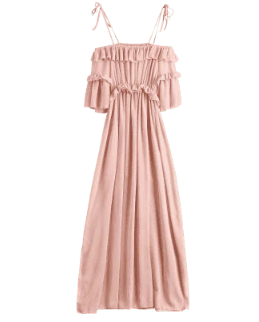 I have curated some dresses styles from one of my favourite fashion brands Zaful Unlike jeans or tops or skirts, which all require a pairing item, dresses… you just need to slap ’em a pair of shoes and a bag, and you're ready to go! Also, they go in any season and for any occasion. Whether you're going for a summer vacation on your favourite holiday destination or just need some short dresses, this post will help you because I’ve put together a long list of cute and stylish outfits that will make you look your best. This dress is lightweight, but it’s the cute straps that make it stand out and up the wow factor. 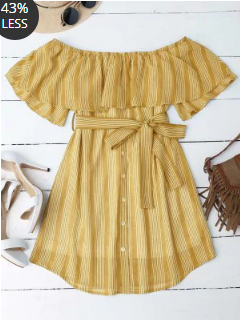 This outfit is perfect for brunch, shopping, a date, or a concert. Off the shoulder dresses have been all the rage the last few years. 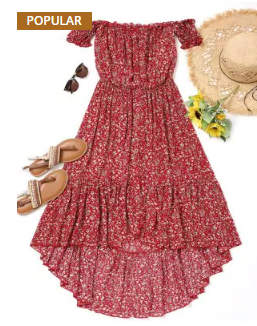 This Red Off The Shoulder Dress is my favourite and I can't wait to buy it. This floral high-low dress with tiny prints all over makes it even more attractive. A perfect dress for summer outings. This Chiffon Ruffles Beach Dress can be a perfect beach outfit this summer. I love this dress, it’s got a beachy vibe but is classic in style as well. Want to stand out a bit from the crowd? Don a multi-stripe off the shoulder dress in ginger color :) This color and style looks so cool and trendy this season! This dress is my personal favourite. The belt at the waist and the cute wide sleeves makes it even more alluring. Pair it with white sneakers and a trendy hat and you're good to go. This summer don't forget to update your summer wardrobe with the stylish sunflower dresses. 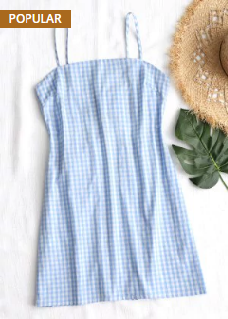 You can check More Sunflower Dress on Zaful and I assure you're going to love them all. 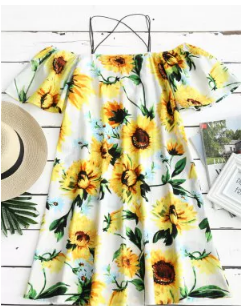 This sunflower print cold shoulder cami dress is super awesome and this is a must-have in your summer closet! Girls..I would recommend this shopping website to you all because I feel here we can shop the most fashionable outfits at the affordable prices. So head over to Zaful and know on your own. These pieces are so gorgeous! Definitely great for the warmer months.